It’s time again to get your entries ready for the Champlain Area Trails (CATS) Travel Writing Contest! This is the third CATS writing contest, and let’s try to always make the entry pool larger than the last and share more wonderful local stories. Read past contest entries for inspiration, then get out there to explore and have fun before sitting down to write about your Champlain Valley adventures! Explore a new trail, paddle the lake, browse a farmer’s market, track songbirds, enjoy a gourmet meal—and then write about your adventures. Your story could earn you $500. 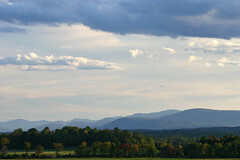 With its historic hamlets, rich wildlife, vibrant sense of community, and scenic vistas, the Champlain Valley offers plenty to do. So tell us about the places you hiked, the restaurant you loved, the outfitter who went that extra mile, the bed and breakfast that was pure bliss, or the sublime concert you heard. We’re looking for travel stories that will inspire others to follow in your footsteps. Our guest judge, Diane Chase, will award a $500 first prize. There’s also a chance for everyone else to pick his or her favorite during our online voting. The People’s Choice—the story with the most online votes—wins $250. Length: Your article must be between 900 and 1,500 words. Photos: Include three to six jpeg photos. A short video clip can substitute for the photos. Read this list of suggested sites and activities for ideas if you’re stuck. Be sure to read over the complete rules and fine print and learn how to submit your entry. If you have any question or problems then email CATScontest@gmail.com. Keep up with CATS on Facebook and Twitter!